Blackberry phones are still struggling to get a break through in the market. Instead of Blackberry people are choosing Android and windows powered devices. Mainly this is because of lack of apps in the market. Even people who owns Blackberry phones are switching to other better platforms. Because they want to use much better apps seen on the Play store and Windows store. 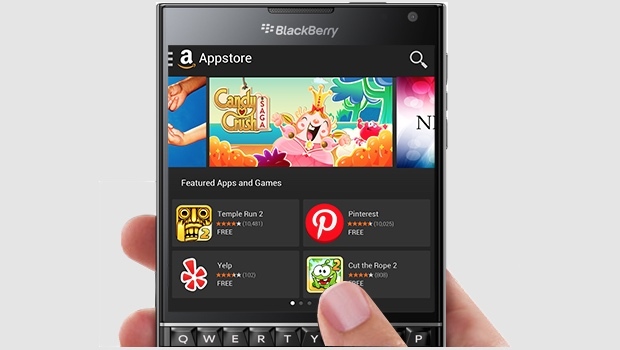 What if we get Android apps on Blackberry BB10 handset? But one of the secret feature of Blackberry devices is that those devices will support Android apps on the phone. You guys might be shocked. But it’s a fact. You can install the Android apps directly onto Blackberry without any hacking of the system. The below guide will allows you to install the Android apps on the phone. Before getting to the process your device should be running on the latest BB10 OS. Blackberry Q10, Blackberry Z10, Blackberry Z30 and Blackberry Passport comes with the latest BB10 OS. So this is a must. The next step is to collect the APK (Android Application Package) files of the respective apps. APK is nothing but similar to a zip file which includes small related files of the application. There are several ways to collect the APK files. You can directly google the name of the app along with the extension “.apk”. For example if you want to install the Evernote Android app you can search in Google as Evernote.apk. There may be lot of versions available for the app. Make sure to download the latest version. If you want to download the apk from recognized provider then you can get those from Amazon app store. Download the Appstore.apk from the amazon’s website. After downloading the app install it using a file manager in the phone. After that you can search apk files directly from the Appstore and install it on the Blackberry device. During installation it may display a warning about the installation from unknown sources. Just ignore those and continue the installation. After that you can run the installed apps just like a normal app. Some of the apps will not display properly because the app may not support corresponding screen size. In that case you may have to contact the developer for further installation.